Photo Caption: These bonds launched Lenbrook, celebrating its 35th anniversary this year. Terry Harth, former Chair of the Fulton County Residential Elderly Care Authority, and Daniel Dornblaser, Lenbrook’s VP of Finance and Chief Financial OfficerThese bonds launched Lenbrook, celebrating its 35th anniversary this year. These bonds launched Lenbrook, celebrating its 35th anniversary this year. 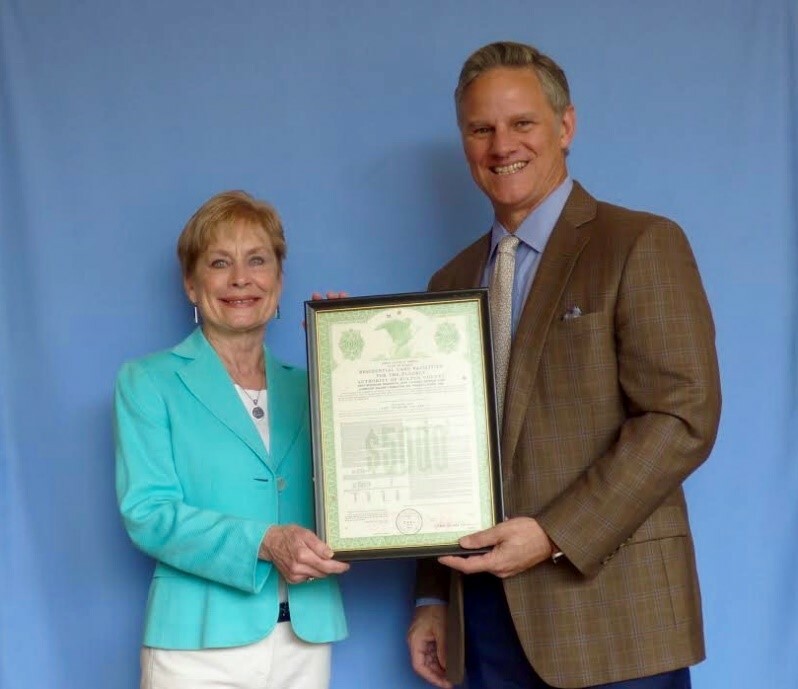 On June 29, Terry Harth, former Chair of the Fulton County Residential Elderly Care Authority, presented Daniel Dornblaser, Lenbrook’s VP of Finance and Chief Financial Officer, with a framed print of the original bonds issued in 1982 for the construction of Lenbrook, the first Continuing Care Retirement Community (CCRC) in Atlanta. * Multipurpose rooms, arts studio, woodworking shop, and so much more.